"Ag-gag" laws -- which ban the collection of evidence of wrongdoing on farms, from animal cruelty to food-safety violations -- are a sterling example of how monopolism perpetuates itself by taking over the political process. As American agribusiness has grown ever-more concentrated -- while antitrust regulators looked the other way, embracing the Reagan-era doctrine of only punishing monopolies for raising prices and permitting every other kind of monopolistic abuse -- it has been able to collude, joining industry groups like ALEC, the American Legislative Exchange Council, which drafts industry-favoring "model legislation" and then lobbies state legislatures to adopt it. ALEC's contribution to Big Ag is the nationwide epidemic of "ag-gag" laws, which felonize the collection and disclosure of true facts of intense public interest. Ag-gag laws are plainly unconstitutional, but that hasn't stopped state authorities from prosecuting and imprisoning animal rights activists and food safety whistleblowers. Invalidating ag-gag laws is an expensive, state-by-state process, and activists and impact litigators have already overturned the laws of Wyoming, Utah and Idaho, and fifteen other states, and now they've just scored a victory in Iowa, after a victory in a lawsuit filed by the Animal Legal Defense Fund (ALDF), Iowa Citizens for Community Improvement (CCI), Bailing Out Benji, People for the Ethical Treatment of Animals (PETA), and the Center for Food Safety struck down the state's 2012 law. 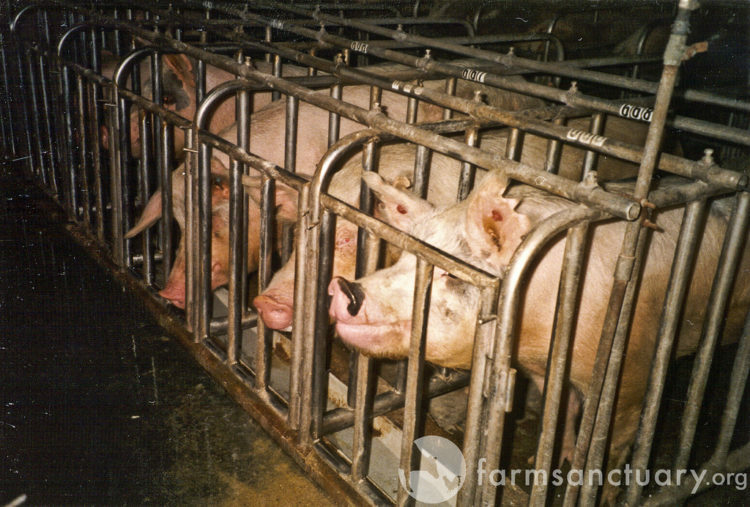 The court took notice of the legislative history of the ag-gag law, which was passed after evidence of extreme animal cruelty was published by activists. Ag-gag laws remain on the books in Arkansas, Kansas, Missouri, Montana, North Carolina, and North Dakota, with challenges pending in Kansas and North Carolina. I eat meat, and I go to real lengths to make sure that I'm buying from sustainable, free-range producers who treat their animals with respect and dignity. The idea that markets are best served if I'm not allowed to know when a producer fails to live up to those standards is absurd, and reveals late-stage capitalism's lip-service indifference to markets: markets exist to extract from consumers, not to discipline producers according to the desires and preferences of their customers. If customers don't like a producer's conduct, the remedy is to hide that conduct from the customer, tricking them into buying inferior products. The state of Iowa maintained the law was necessary to protect “harms to property and biosecurity.” Yet, the court determined the state’s interest in protecting these interests do not outweigh protections for speech under the First Amendment nor did they prove that false statements need to be prohibited so “biosecurity” is not threatened.